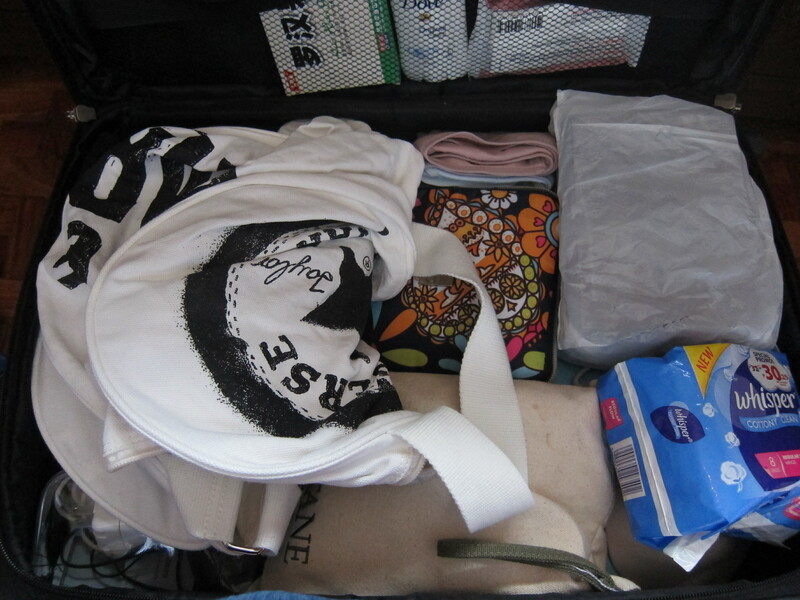 I am interested to find out what people put in their luggages when they travel. In my recent trip to China where the weather was a bit on the cold side (24 degrees estimated weather of Yahoo), this was what I packed. I am a very light packer. We were there for 6 days and 5 nights. Aside from my own stuff, I brought along pasalubong or gifts for my Uncle and Auntie Yap – Chocolate (around 2kg), dried mangoes (100grams x 6) and a box of QCSC ensaymada and adobo roll. 4. Toiletries – Sunscreen, Kiehl’s Facial Scrub, Kiehl’s Moisturizer, Pantene Shampoo, Toothbrush, Toothpaste, etc. Aside from the above, I had on jeans and a sweater. My bag weighed in at 11kg. I would love to know what you have on your travel bag. Take a picture of it and send me a link of your travel bag picture so I can post them in this blog. Tags: Travel Bag, What's on your Luggage? It’s much easier to unaenstdrd when you put it that way!